Complete renovation in 2017 inside and out! Upscale chefs kitchen features quartz counter tops, farmhouse sink, gas cooktop w/ hood, double wall ovens & tile floors. Living room features cathedral ceilings, hardwood floors & gas fireplace. Oak staircase leads to low ceiling attic room, but it is in place for 2nd story expansion possibilities. 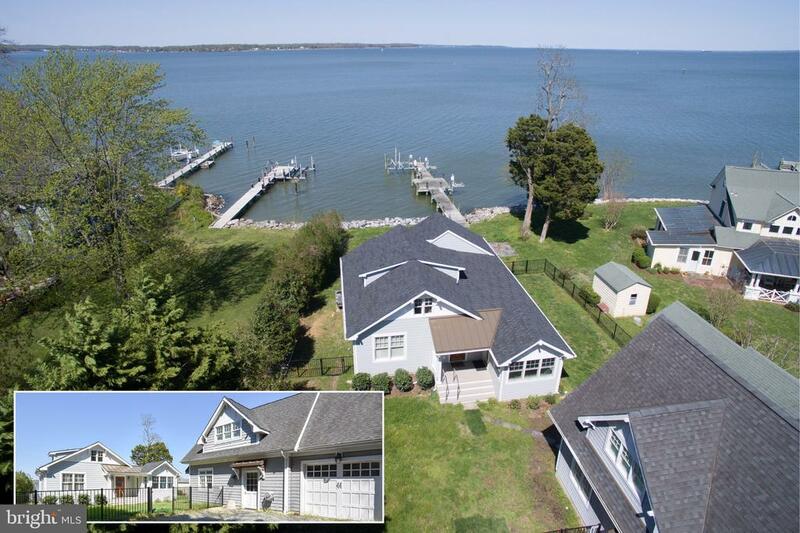 Wonderful panoramic views across Chesapeake Bay and West River! Pier with 2 jet ski lifts and 1 boat lift. Two 1st floor bedrooms, one full bath and one half bath in main house. Third bedroom and additional full bath in fabulous carriage house, built in 2004, that also includes spacious shop/storage space and one car garage! Great location by water for fishing, sailing and boating to restaurants! Outdoor shower to fre up after a day on the water!